Divorce is often a complex and stressful process. The process can be even more difficult when children are involved, and in such cases may bring even more family members into the process itself. For especially close families, family members may be concerned about how a divorce will impact their ability to spend time with a divorcing couple’s children. When these situations arise in California, it is sometimes possible for the court to grant visitation to someone other than the parents of a child if that person has a significant interest in the welfare of the child in question. However, while such a possibility exists, it is not always very easy to prove that you or another family member has an interest in the child’s welfare that trumps a custodial parent’s objection to granting visitation to that family member. There are different situations in which third party visitation might become a legal issue and, depending on the role of the third party in a child’s life, the court will approach such issues differently. When one of a child’s parents dies. Regardless of the situation at hand, the most important factor used in determining whether or not a third party should be granted visitation rights is whether or not such visitation is in the best interests of the child in question. While the best interests of the child in question is certainly the primary factor in a court’s decision, it is not necessarily the only factor that a court must consider. In fact, the court must consider the weight of a parent’s right to deny visitation as guaranteed by principles found in the U.S. Constitution against whether or not the visitation is in the best interests of the child. In cases where the parent’s right to deny visitation outweighs the potential benefits of such visitation, that visitation cannot be ordered by the court. When grandparents want to see their grandchildren and an otherwise fit parent that has custody objects to the grandparents having access to the children, a court may sometimes order visitation anyhow even though doing so goes against the parent’s wishes. While California case law has given additional weight to the parent’s objection, ordering visitation for grandparents that have maintained a significant relationship with the child in question does not appear to violate a parent’s presumptive right to choose what is best for their own child. In other words, the courts will take a parent’s objection into consideration, but a subsequent decision granting visitation to grandparents does not infringe on a parent’s right to choose what is best for their child in an excessive manner. In some cases, a grandparent may join in a divorce proceeding to request such visitation rights or they may request such rights by initiating their own separate action. While it is possible for other family members or other nonrelative third parties to be granted visitation rights, it is more difficult for such people to obtain visitation. In proceedings to determine third party access to a child, a court must basically begin the proceedings with the presumption that a parent’s objection to this visitation is in the child’s best interests. In other words, the person petitioning for third party visitation must overcome the parent’s objection to such visitation by proving that lack of visitation is in fact detrimental to the child’s best interests. It can often be difficult to do that. 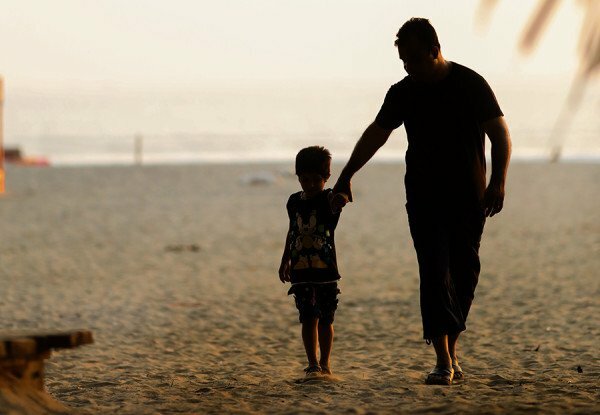 In California, child custody and visitation are complex legal matters. If you have questions or concerns about child custody and/or visitation because you are considering divorce, or if you are looking for information on potentially modifying existing arrangements, a family law attorney with experience handling such matters can help you understand more about your options. Contact JWB Family Law to schedule a consultation about your individual circumstances and questions.